Announcing the Top 10 Butterfly Coordinates! With everything from leaf-munching caterpillars to nectar-sipping butterflies on display, the many phases of the life of the most showy pollinator were not lost on the more than 275 entrants to our Butterfly Coordinates Design Challenge! 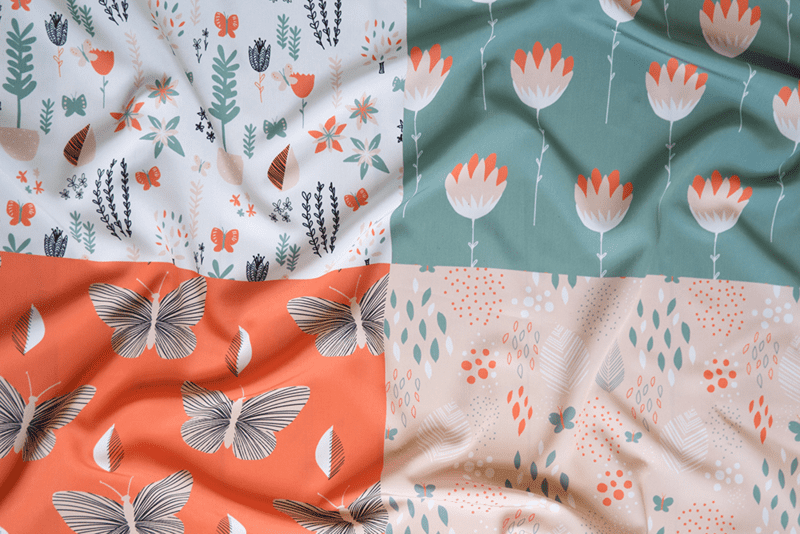 Congratulations to the first-time contest winner Oohoo with her butterfly coordinates design and don't miss all the top 10 winners' lovely coordinating designs! Be sure to browse our photoshoot with all the butterfly coordinate fabrics today on our Facebook page!